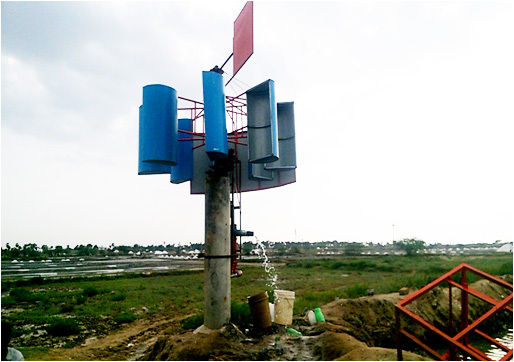 Installed on the coast of Nellore dist. Water drawn from 30 feet below the ground. Custom made based on application – such as for irrigation, salt farms aqua ponds, etc. Drawing water from a depth of 60 feet is found feasible with this wind mill.